Whether it is clinical trials, treatments or finding a myeloma specialist, we help you understand your myeloma options. Select your diagnosis to get started. Understanding your myeloma options is hard. Less than 1 out of 10 patients will join a clinical trial. Clinical trials are the path towards better treatments, higher quality-of-life and a cure for myeloma. Only 2 out of 10 myeloma patients are seen by a specialist. A recent Mayo Clinic report shows that myeloma patients who are being seen by specialists live longer. We're on a mission to change this. Understanding treatment options for you or your loved one can be scary and confusing. As caregivers, we've been there. It’s why we started SparkCures. Whether you are newly diagnosed or your myeloma has come back, you are not alone. 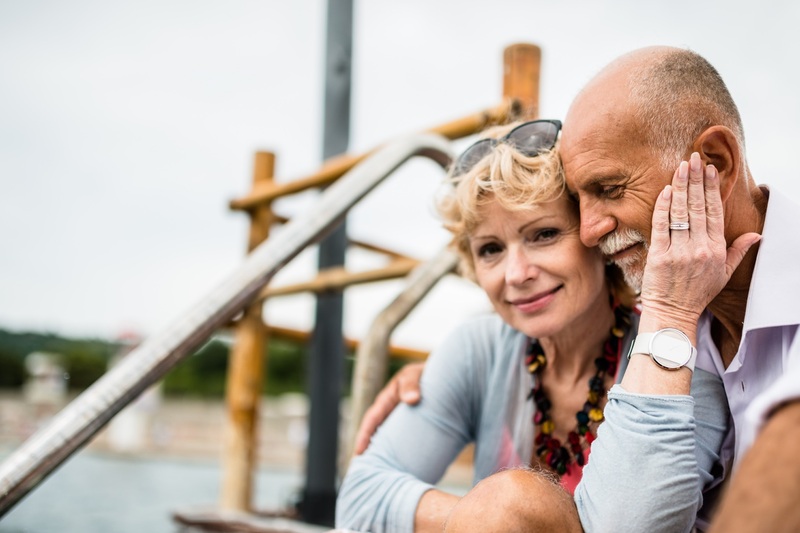 We will help you find, understand and connect to clinical trials, treatment options and myeloma specialists throughout the US. Call us today and let us help. You can also create your free account and begin receiving your personalized options in just a few minutes. Select your diagnosis below to get started. Going to see your doctor? 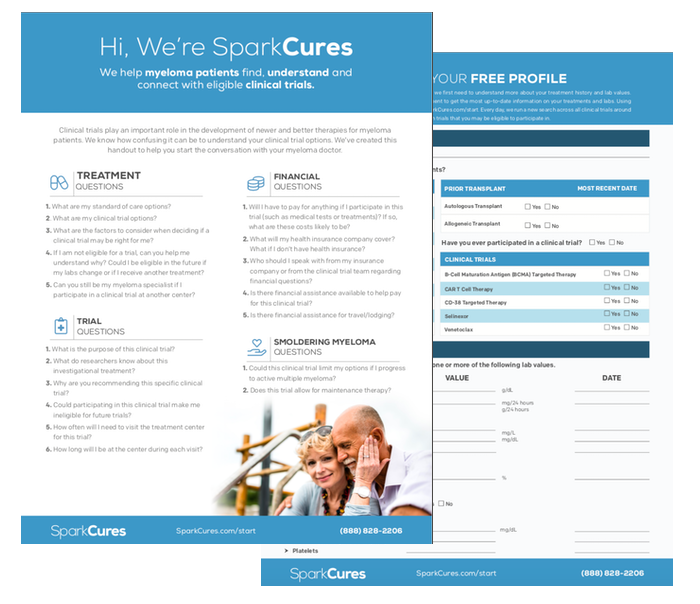 Download our clinical trial worksheet to better understand what questions to ask and lab values we use to help personalize your report.